Sweet basil (Ocimum basilicum) offers backyard gardeners lush foliage as well as exotic flavors for salads, pasta dishes and soups. While it can grow as a perennial in U.S. Department of Agriculture plant hardiness zones 10 and higher, it also thrives in warm weather in all zones after the last frost date. Try adding sweet basil to your garden's landscape -- and to your meals -- to enjoy the scent and taste of this familiar herb. If you're growing sweet basil in the ground outdoors, wait until after the last frost date in your area. Ideally, the soil temperature should be at least 70 degrees Fahrenheit for optimal basil seed germination. 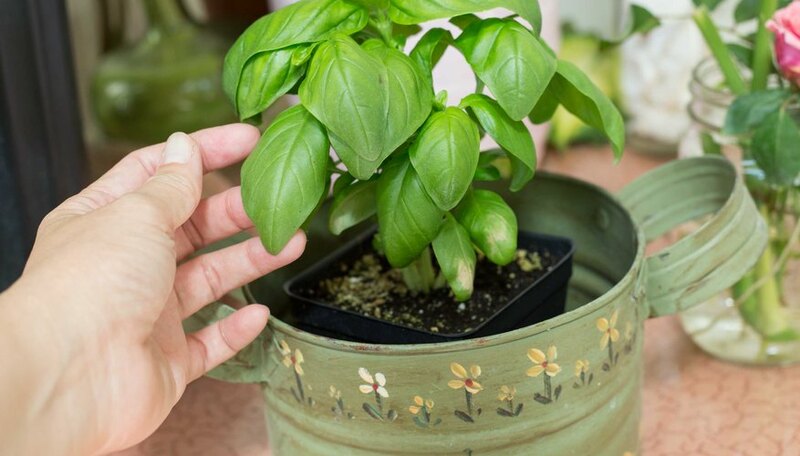 If you're growing your basil in a container, you can start it indoors up to six weeks before the last frost date. Wherever you decide to grow your basil, it must receive full sun all day. 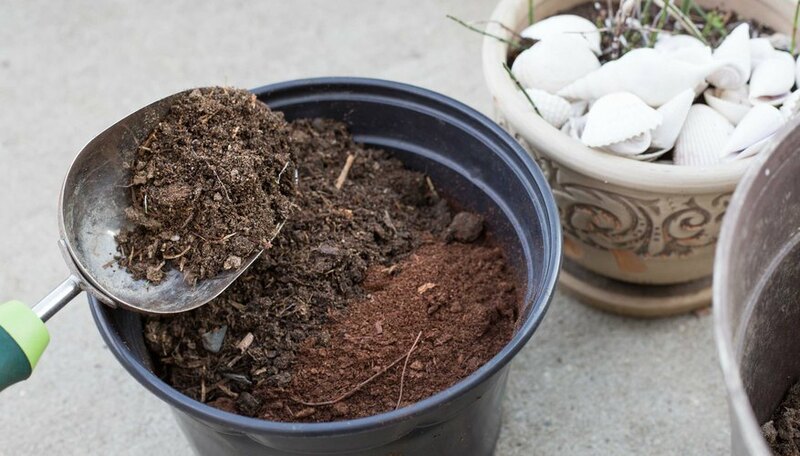 Prepare your outdoor garden bed by mixing a couple inches of well-rotted compost into the top 6 inches of soil. This enhances soil drainage and boosts the level of organic matter in the ground -- a key foundation for the biggest, healthiest sweet basil plants. 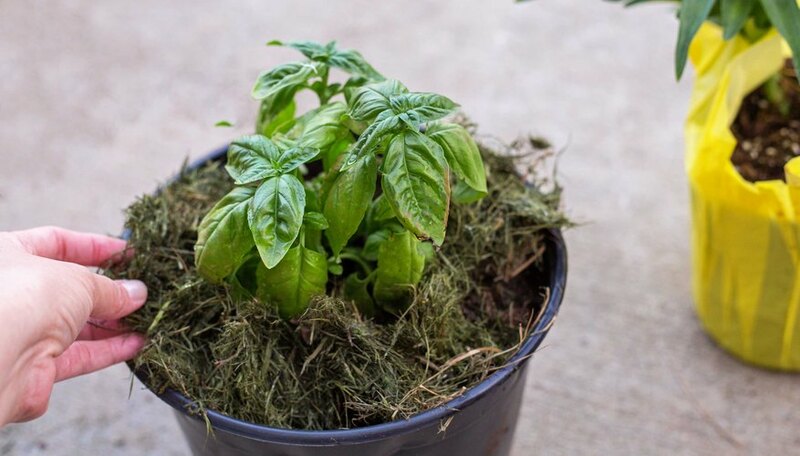 If you're raising your basil in a container, use a gallon-sized pot and fill it with any well-draining potting mix, preferably a soil-less mix made with aged bark and peat moss. Basil seeds don't need to be buried deep. 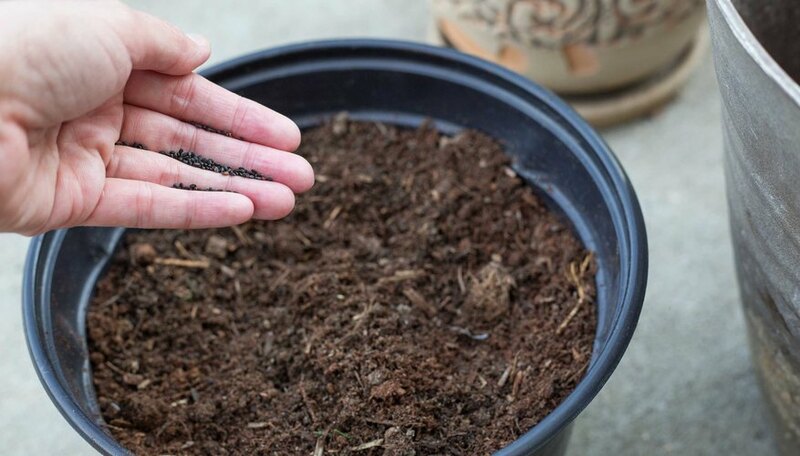 Sprinkle them on the surface of your prepared soil or bury them just 1/4 inch below the soil surface. When planting more than one sweet basil seed, space them apart by 10 to 12 inches. Mist the soil surface twice a day or as necessary to keep the top of the soil evenly moist. You'll see your seeds germinating within seven days. Infrequent watering improves the flavors of many types of herbs. 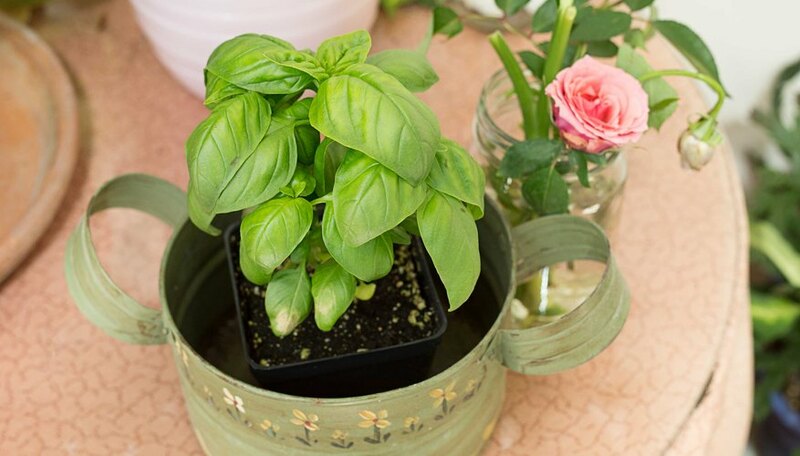 Water your sweet basil once every seven to 10 days, using enough water to moisten the soil to a depth of 8 to 10 inches. Deep, infrequent watering encourages each basil plant to extend its root network deeper, creating a stronger and healthier plant. 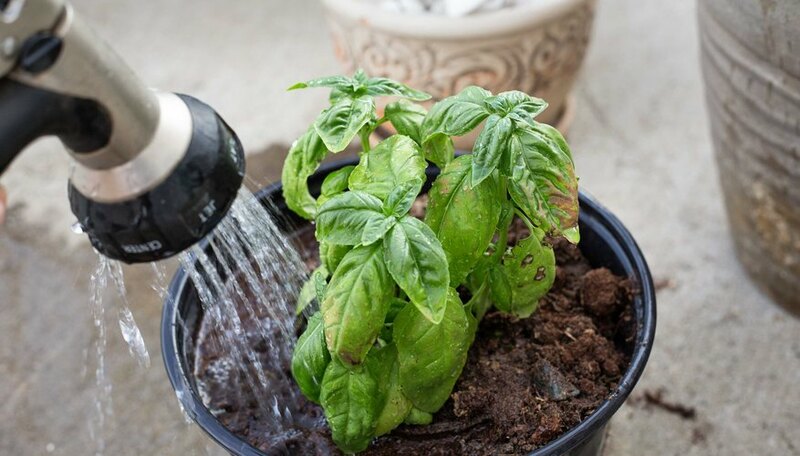 If you have your sweet basil in pots, you may need to water them more frequently because pots dry out faster. Watch for signs of drought stress, such as wilting or leaf curling, and increase watering frequency if necessary. Sweet basil, like many types of herbs, requires rare, infrequent fertilization. If you choose to fertilize your basil, do so just once halfway through your growing season. 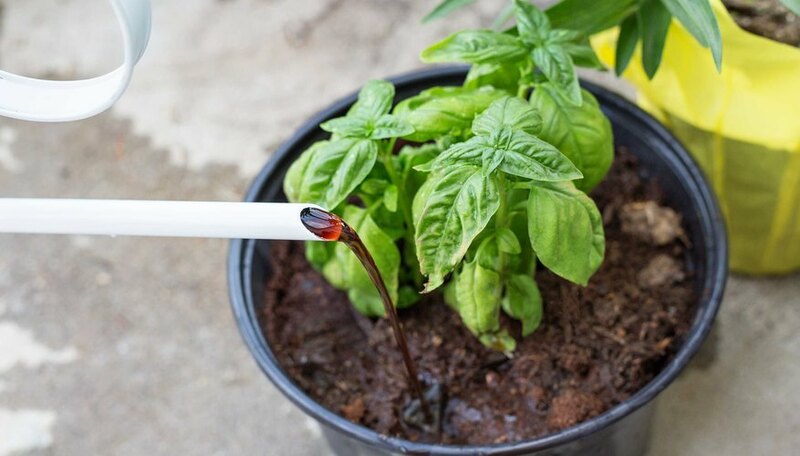 Use 1 1/2 ounces of 5-10-5 fertilizer for every 5 feet of gardening row, and water your sweet basil immediately after fertilization to help carry the fertilizer down into the soil. Mulch helps to improve soil moisture retention, blocks out any potential invasion of weeds and improves soil nutrient levels as it slowly decomposes. For sweet basil, apply a 2- to 3-inch-thick layer of mulch around each plant. Example mulch materials include shredded leaves and weed-free grass clippings.